Is the ALP the Olympic Party? With the Olympics done and finished, i figured it would be fun to look at the number of medals we win at the Olympics with the sample split according to who holds the Prime Minister’s office. I looked at data from 1932 to 2012. 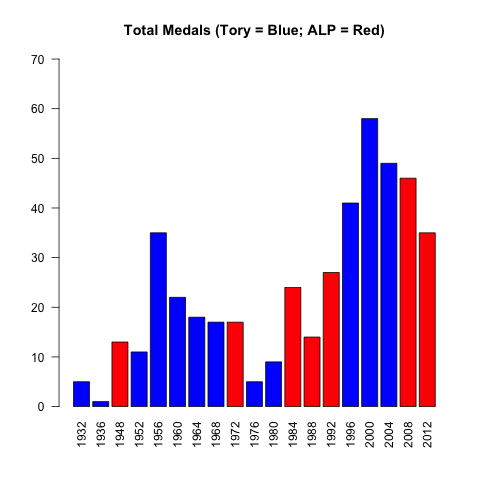 The first thing i noted is that we tend to win more medals when the ALP is in power. They have taken us to seven games, with a median tally of 24 medals (average 25). 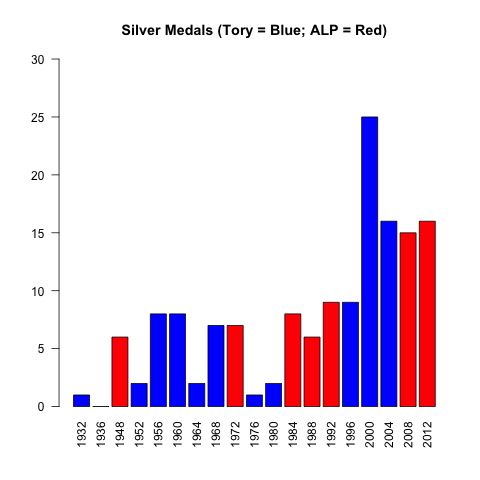 The Tories, by contrast, have taken us to twelve games, with a median haul of 18 medals (average 23). When it comes to Gold medals, the ALP have a nose in front. They have brought us a median Gold medal take of seven per games (average 6), against six (average 7) for the Tories. The gap widens when we step off the top step of the podium. 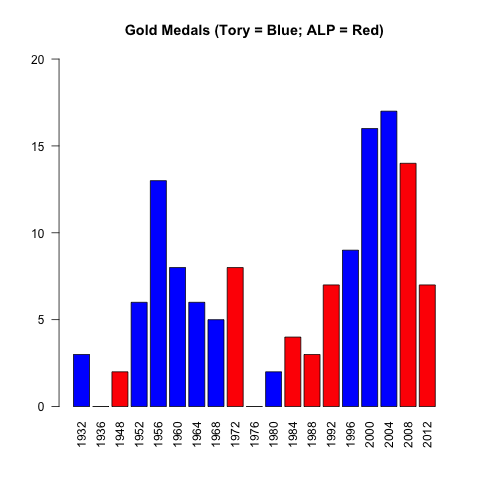 The ALP has brought us a median take of 8 Silver Medals per games (average of 10), against a median take of 5 for the Tories (average of 7). At Bronze, the gap is widest. 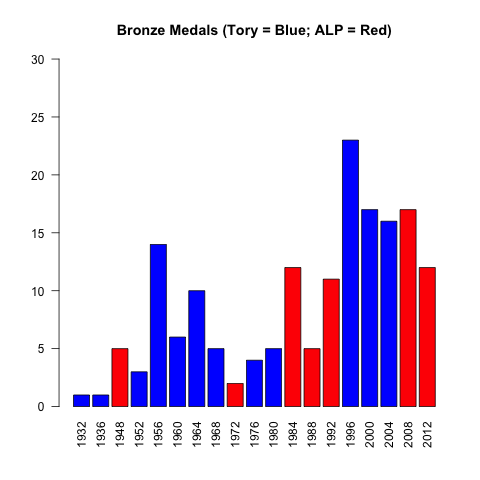 The median bronze medal haul for the ALP is 11 per games (average of 9) with the Tories bringing home a median haul of 6 per games (average 9). This entry was posted in sports and tagged Olympics. Bookmark the permalink. 1 Response to Is the ALP the Olympic Party?